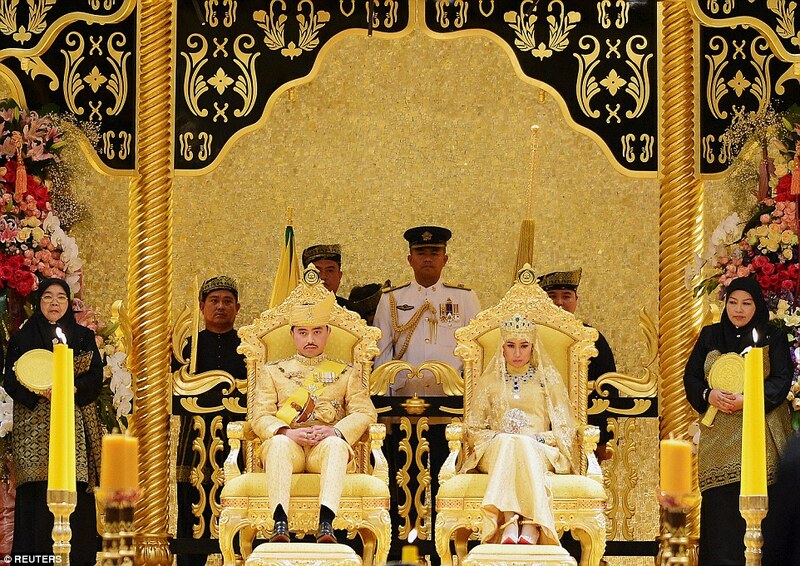 Prince Abdul Malik, 31, exchanged vows with Dayangku Raabi'atul 'Adawiyyah Pengiran Haji Bolkiah, 22, in front of crowds of friends and family in April 2015. Venue: The Monarch's 1,788-room palace in Brunei's capital, Bandar Seri Begawan. Bridal Jewelry: A diamond necklace with a central pendant of three emeralds the size of grapes, glittered around her neck, while a matching brooch of two egg-shaped emeralds dangled from a diamond setting.